The first part of 2014 is gone and different trends have been introduced in the design world. Two primary examples include ghost buttons or the new love for video backgrounds. Meanwhile, typography is increasingly seeing more focus as more designers realize that a perfect font, together with good graphics, can improve a digital project. 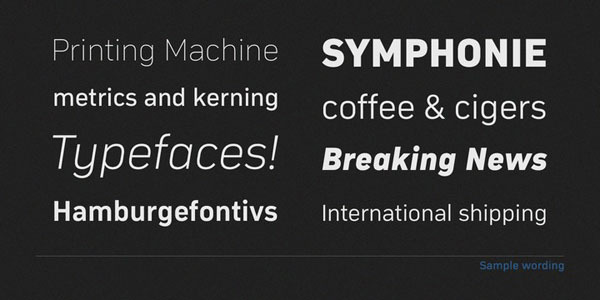 Since the beginning of 2014, many new fonts have been released and others have been updated. 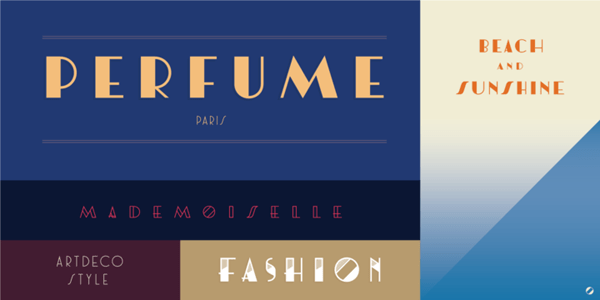 So, we decided to roundup the latest typefaces and showcase the best ones. We have found 15 fonts which we consider to be important for every designer who wants to stand out from the crowd. Core Deco is a font family developed by designers Hyun-Seung Lee, Dae-Hoon Hahm and Min-Joo Ham. 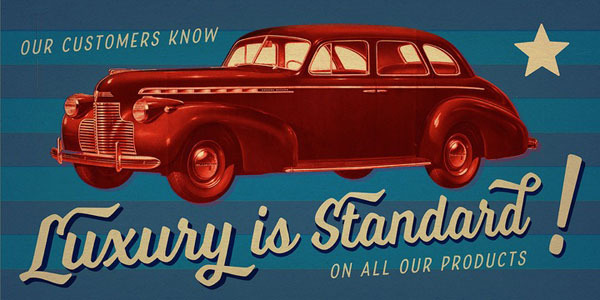 The graphics of the font, and even the name, were inspired by art “deco posters” from the late 1930s to 1950s. The 14 different fonts come with two useful styles: The first is a slight and elegant one, while the second features a stronger contrast with the background. Furthermore, each style has a 3D effect structure, which can be applied to the font in order to create a massive and trendy typeface suitable for headlines. Other effects are line patterns, outlines and shades. By downloading the Core Deco family, you will get access to 14 modern fonts which can be used in a wide variety of artworks. Core Deco costs $140 but it is definitely worth it. 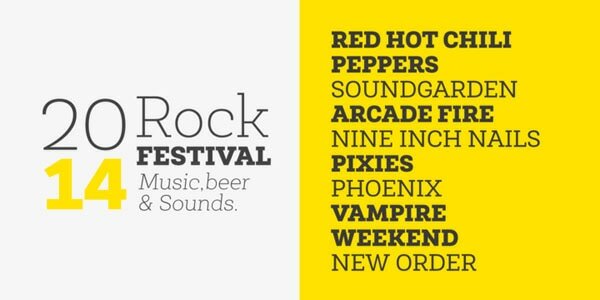 Eveleth is a font family created by the Yellow Design Studio, which includes three weights Regular, Slant and Dot. They have some peculiar features, such as a unique texture for each, as well as a common element. In fact, all the three show a great mixture of realism and vintage charm which makes them appropriate for modern works and for the old-style ones. Also, each has three style options such as Light, Bold and Regular. Together with the several fonts, Eveleth provides you a set of interesting icons and some shapes which may become useful in your activity as a designer. 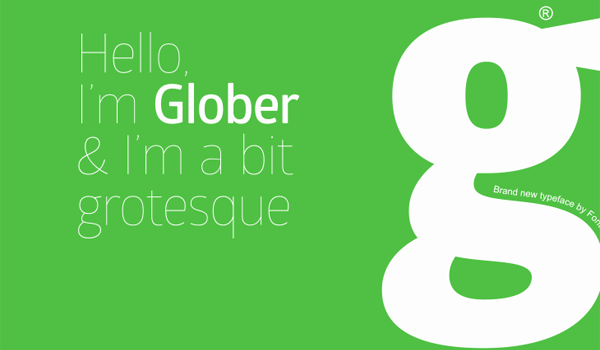 Glober is easy to read, so this typeface can satisfy different needs. It is perfect for headlines, logos or informal text, but since it is a sans-serif font, we suggest not using it in formal documents or scientific papers. The font family costs $179. 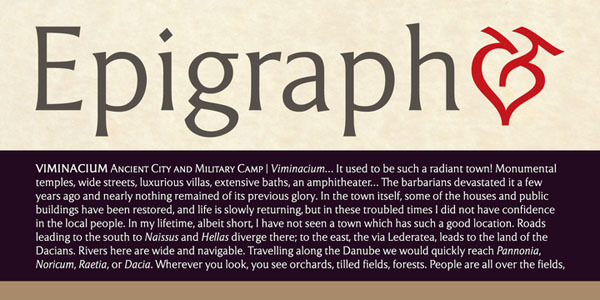 Epigraph, designed by Dragan Pešić, is a serif which follows the lapidary trend. Glyphs only start with the nucleus of a serif and they are completed by humanistic decorations. The typeface shows traditional proportions and slender lines which express an idea of lightness. Eventhough “lapidary” typefaces originated many years ago, Pešić was able to create a modern font which can distinguish your work. Use it in classic style works or in contemporary projects. Moreover, the font is highly readable and, thanks to its elegance, can be used for book covers, catalogs or posters. In the package it is possible to find five fonts including the bold and italics. Epigraph can be downloaded for $80. Nocturno is a font designed for fashionable and stylish text or headlines; it is characterized by effective proportions and large openings that make the font easily legible and recognizable. The presence of contrast between slopes, widths, shapes and weights creates the possibility to use the typeface for positive and negative text. Nocturno is $9 to $490, according to license type. 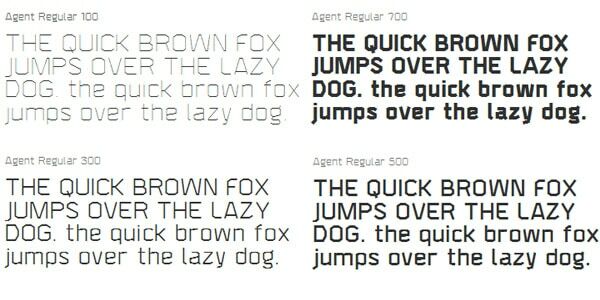 Agent is a sans serif font which is presented as a classic angular typeface. It comes with four different variations, each one with four weights. You can chose between four formats, which change the thickness of letterforms. 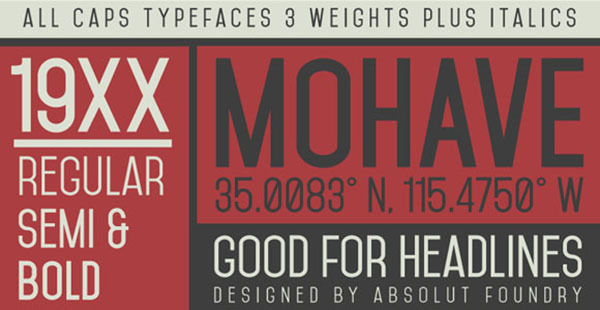 Mohave is a font created by Gumpita Rahayu, an Indonesian designer. The font is built with smooth heights and dynamic glyphs. This typeface is designed for large point sizes, and it contains three weights — regular, semibold and bold, plus italics. Although lowercase and uppercase letters seem to be similar, there are small differences. This font is suitable for web design projects or infographics. You can get Mohave free of charge. Voltage was created by famous designer Laura Worthington. Her idea was to create a font which was supposed to be highly readable and user-friendly. She also tried to avoid large loops and ruffled decorations. The result is Voltage, an energetic typeface which can’t be inserted in a particular font typology. It stands out from them all. Voltage puts emphasis on practicality and uniformity mixing elegance and vintage style. The font is mainly for strong and dramatic headlines. 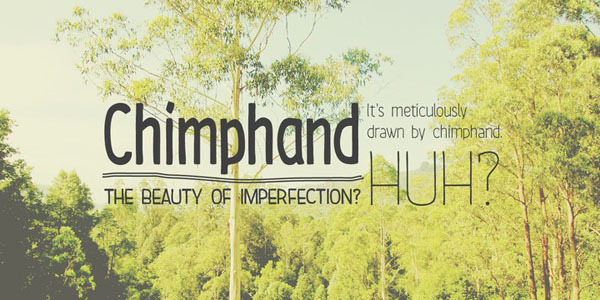 Chimphand, designed by One Fonty Day, is a modern, organic and natural handwritten font. 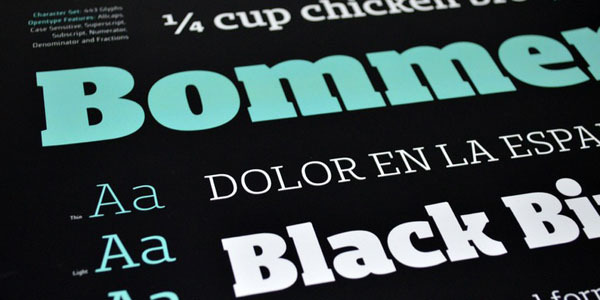 The set contains three weights — light, regular and bold as well as two different widths. Chimphand is customizable and can be used for different purposes, from short text to logos. Chimpand is alsoa great choice for graphics for t-shirts. Compasse, designed by Ryoichi Tsunekawa, is a semi-condensed sans serif family that includes 12 styles. 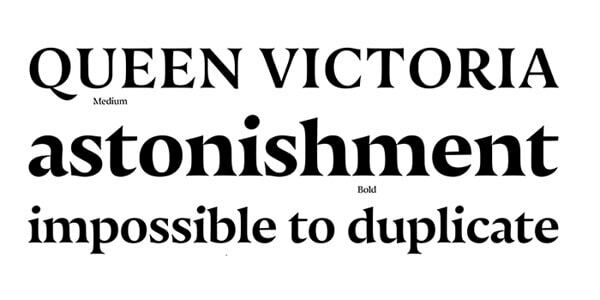 There are six weights from thin to extra bold and matching italics. The range of styles provides the right adaptability to use the font for titles and body text. Compasse supports uppercase and lowercase letters, denominators, numerators while fractions can be accessed by using OpenType features. The negative aspect is that Compasse is one of the pricier typefaces on our list. It is $200, so it may be good for the most experienced users. 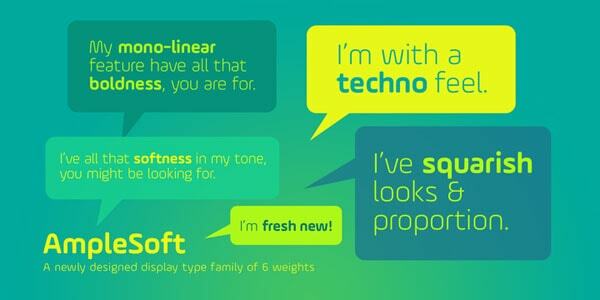 Ample Soft, designed by Soneri Type, is the soft version of Ample. The font doesn’t have sharp angles but smooth curves and is very linear. Ample Soft is eye-catching and the readability is good. Indeed, if colors are well used, the letters are easily distinguishable from the background. 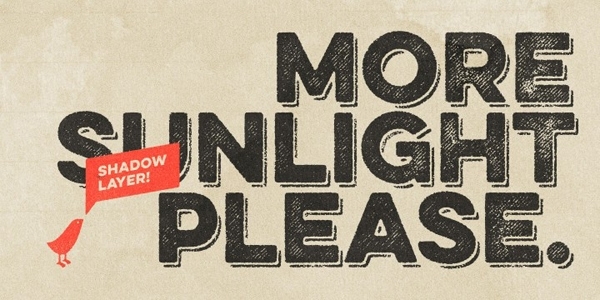 We suggest you not using this font for long text but mainly for headlines or titles. The package includes six different weights. Italics are not included in the Ample Soft set because it doesn’t go with the general nature of the font. Newslab, by Latinotype, is a serif font which is the result of the combination of three different existing typefaces: Andes, Sánchez and Roble. Newslab is characterized by a great harmony and by not excessive tricky decorations. In this way, the font offers a feeling of freedom but, at the same time, it is imposing and solid. The Newslab font family consists of 16 variants and eight weights with italics. The creators think that this typeface should be used mainly for editorial projects such as posters. Bommer Slab, developed by dooType, is a family of fonts and it includes 14 different weights: seven are uprights and the other seven are italics. The font shows a great personality that makes it perfect for headlines as well as in text blocks. Lowercase and uppercase letters, fractions and apex are all supported. Epigraph and Chimphand are easily my favorites, but I wonder about using the same fonts that are super popular with everyone and no longer retaining the individuality sought by nearly anyone who uses them? Have been using a web based text generator but it’s quickly being overrun by better font developers. Am I being too old fashioned here and should I just run with the crowd? Newslab font looks perfect for web designing blog and websites as well.